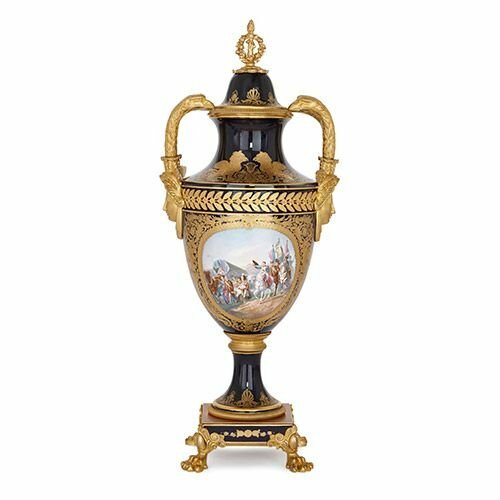 This grand antique Sevres style porcelain and ormolu mounted vase is decorated with a splendid image of Napoleon I on horseback, visiting his troops. 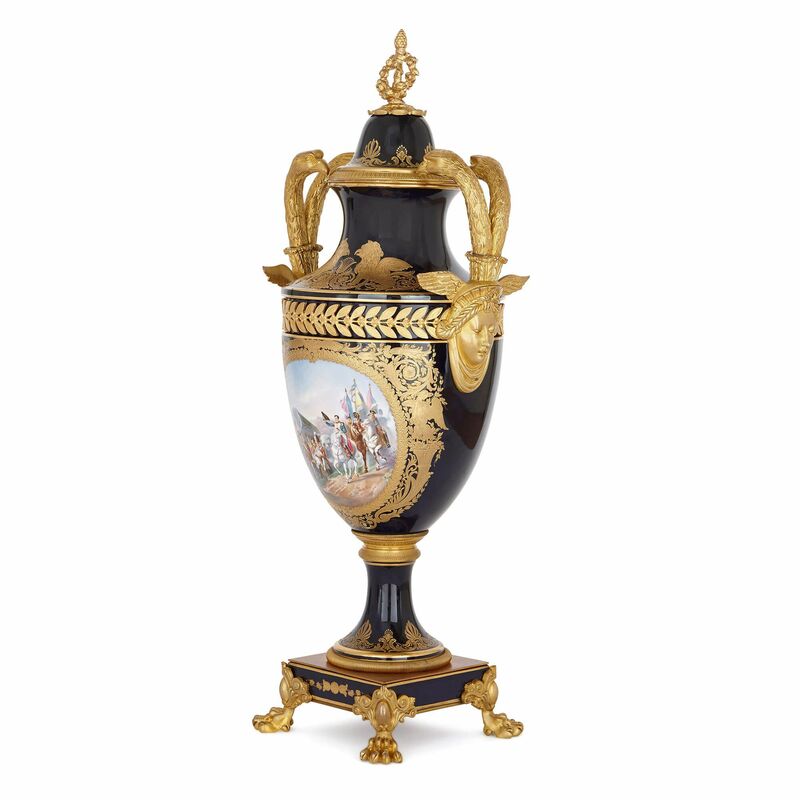 This painted porcelain vase with ormolu mounts is an exquisite piece of late 19th Century Sevres style design. 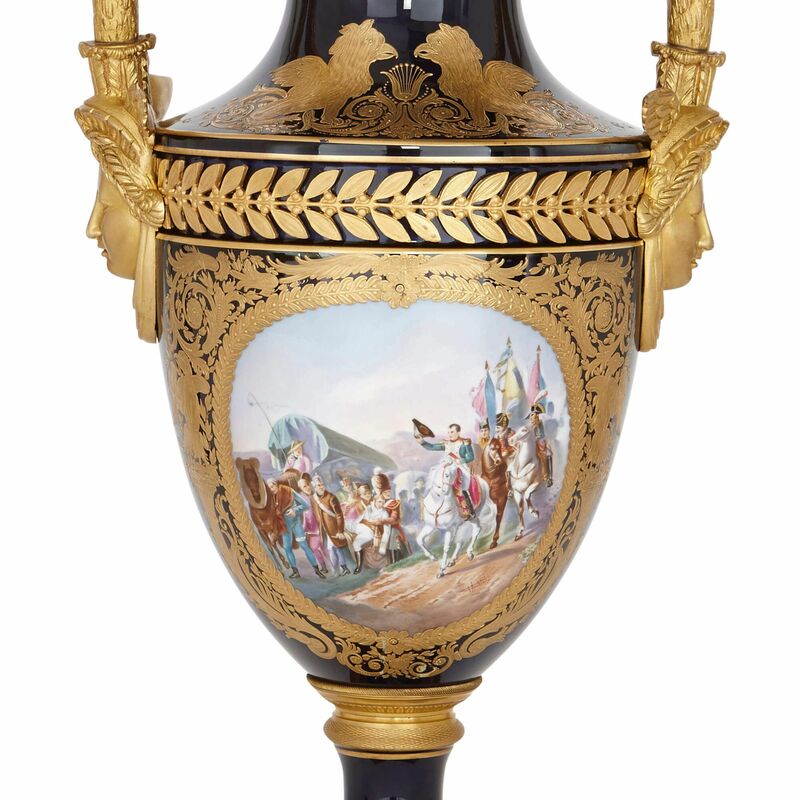 The main feature of the piece is the painting, centrally positioned on the front of the ovoid vase body. 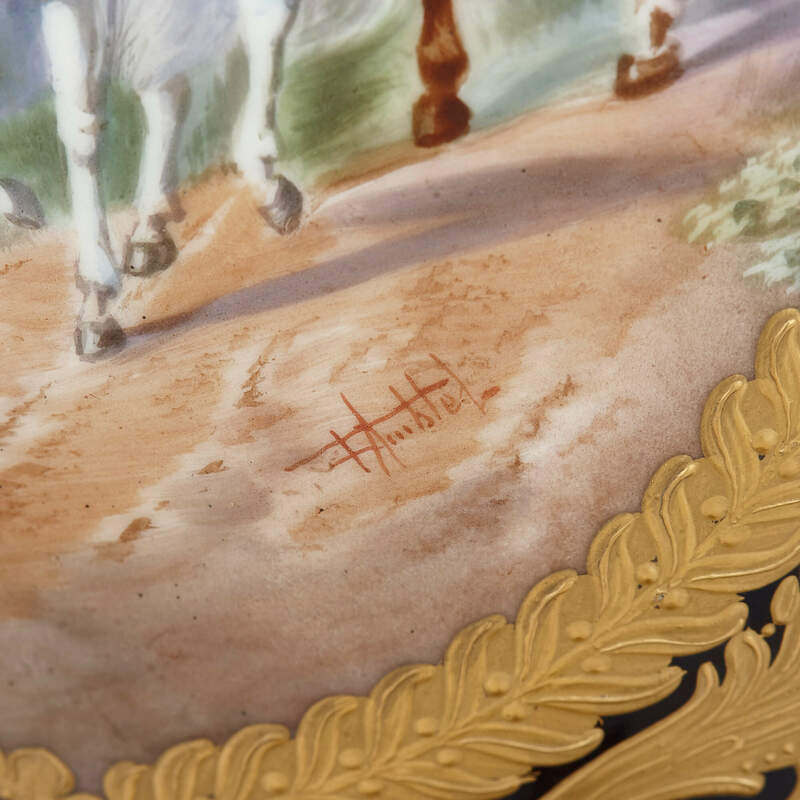 In this image, Napoleon I is pictured riding a white horse, accompanied by members of the French cavalry. 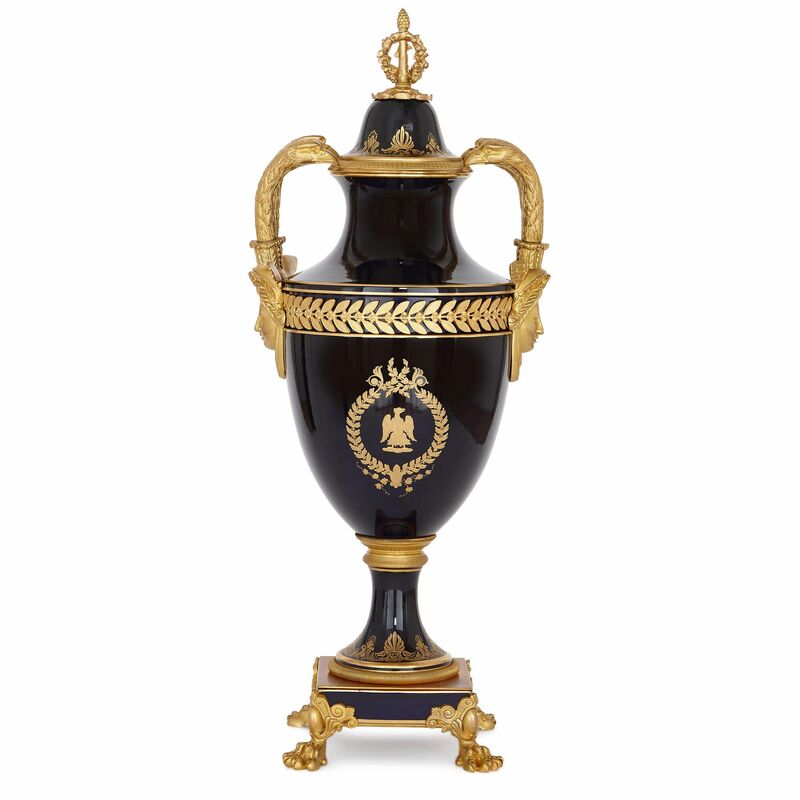 He tips his bicorne at the men, some busy at work and others wounded, who occupy what appears to be a battle camp. 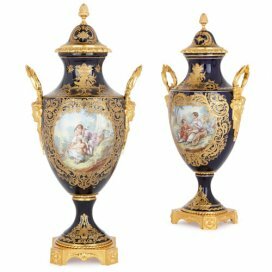 The painting is set against a dark blue ground, decorated with elaborate gilt foliate patterns, and is signed to the lower right 'F. 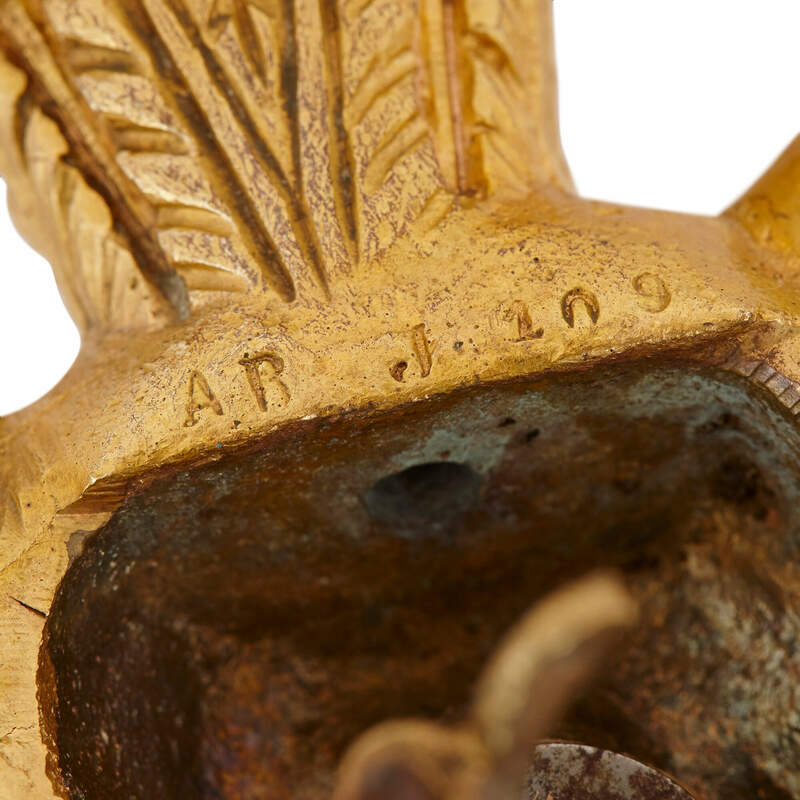 Amblet'. 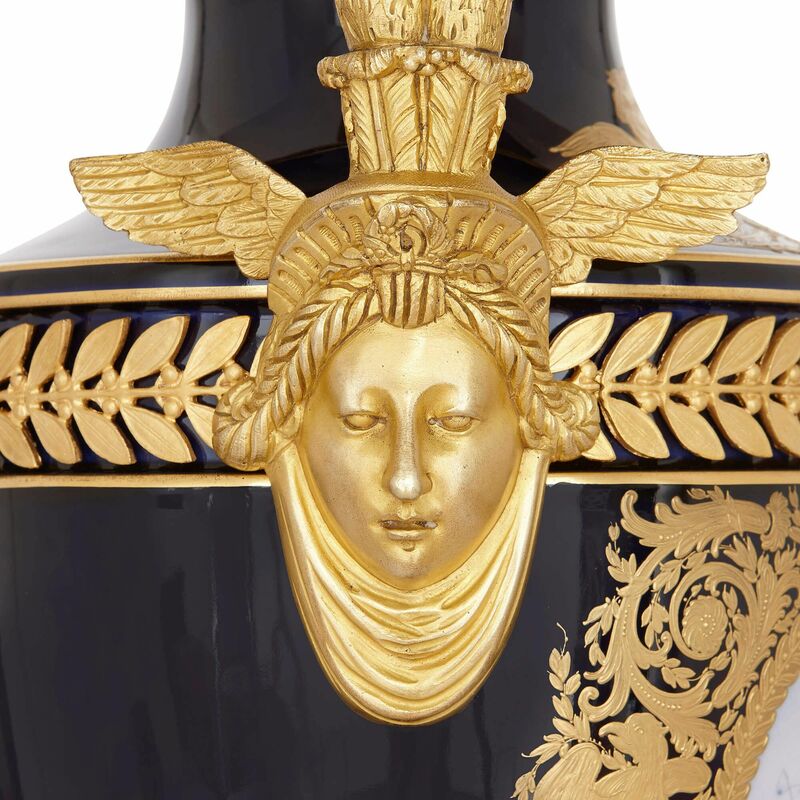 Above, on the neck of the piece, we see a pair of griffins, similarly gilded. 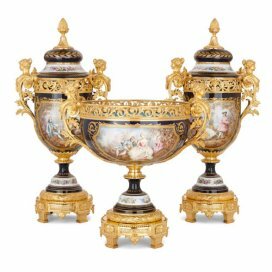 The vase is set with twin ormolu handles, which sprout from classical masks wearing winged helmets, and curve up to form double eagle heads. 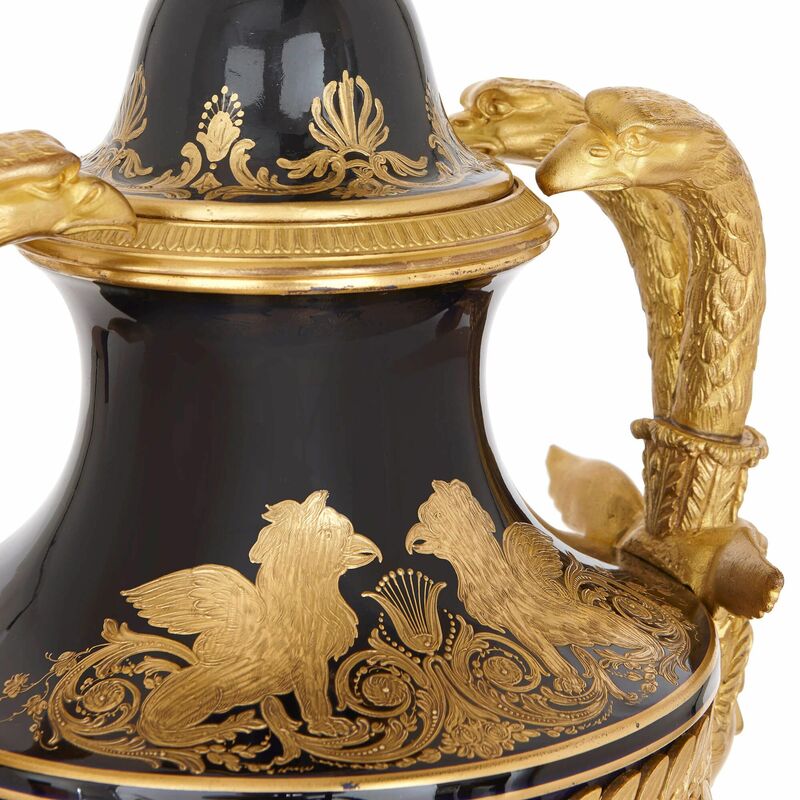 These are a reference to the French imperial eagle, which was the standard carried into battle by Napoleon's army. 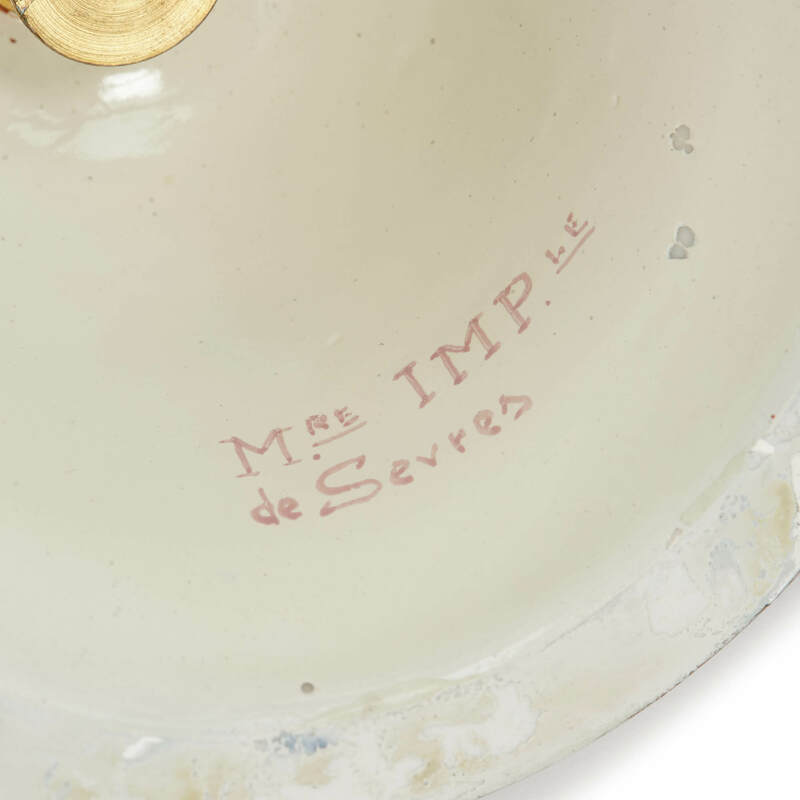 'M.re IMPle de Sevres' is painted on the base of the vase, reaffirming Sevres' stylistic influence.